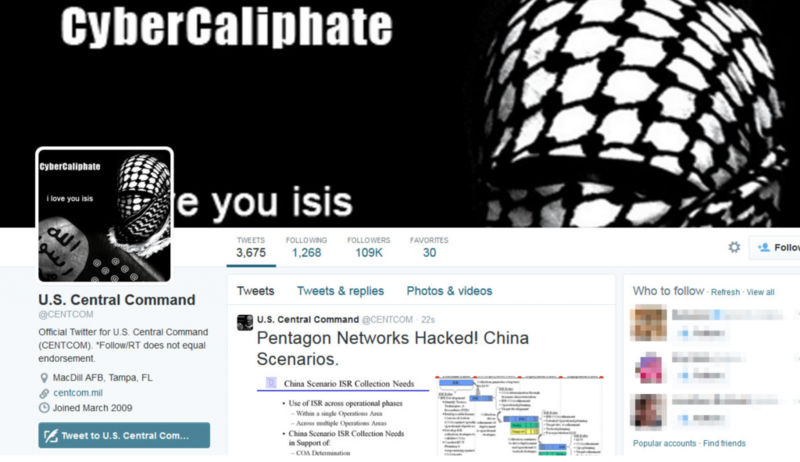 Events suddenly took a strange turn, FBI is now using information obtained by hacktivist group Anonymous to help it find the hackers who compromised the Centcom Twitter account and YouTube channel for about 30 minutes and tarnished them with ISIS messages and threats against US soldiers. On January 13, just as President Barack Obama was speaking on cyber security & outlining the new cyber-security measures, the hackers compromised Centcom accounts. The hackers also claimed to have compromised officials’ mobile devices but the US Army confirmed that the hackers had access only to social media account and nothing else and they haven’t used the accounts to spread any sort of malicious code either. “CENTCOM’s operational military networks were not compromised and there was no operational impact to U.S. Central Command. CENTCOM will restore service to its Twitter and YouTube accounts as quickly as possible. We are viewing this purely as a case of cyber vandalism,” reads the statement issued by the CENTCOM. 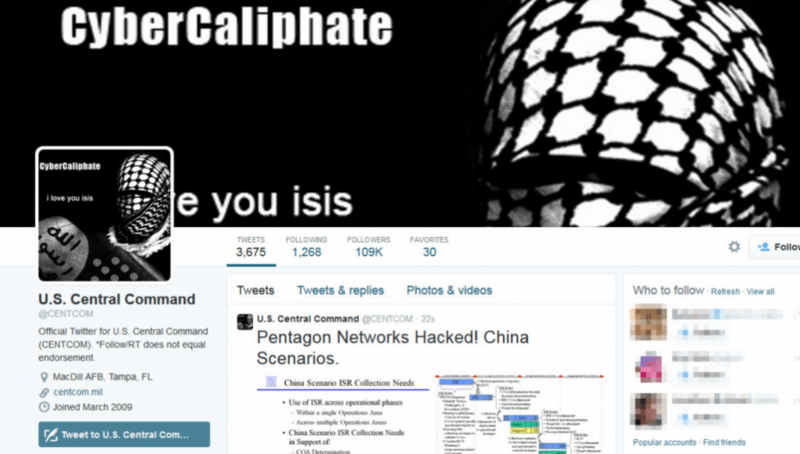 It was first believed that a Twitter account named CyberCaliphate- the hacking wing of ISIS was behind the attack, however Anonymous Hacktivists claimed that the attacks actually came from inside US, from the state of Maryland and not the Middle East. The group commented that it didn’t appear that the hackers were using proxies to hide their original location. The group traced the IP addresses of the hackers and narrowed it down to 11 IP-addresses which were used in the attacks. In the past the FBI has tracked and arrested multiple members of the Anonymous hacktivists group including the Americans, Barrett Brown for plotting the overthrow of the US government, and Jeremy Hammond for hacking servers of Statfor, a private intelligence company, and leaking its information to anti-secrecy site- WikiLeaks, as well as several members of the LulzSec offshoot in the UK. Surprisingly the Federal Bureau of Investigation has also worked with the same group in 2012 when they carried out several cyberattacks on corporate and government websites in Brazil to help the FBI carry out their biggest cybercrime investigations. The @TheAnonMessage erringly identified a police officer as the killer of Mike Brown in August, 2014 too. Even so, subsequently the account suggested that they intentionally named the wrong person to force the police to reveal Darren Wilson’s identity.